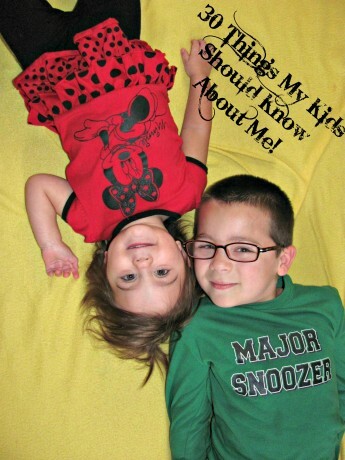 Post 20 in the series 30 Things My Kids Should Know About Me. Surprisingly I am not sure that this is that hard to come up with. 1. When I had just finished my first semester of 8th grade we moved from small town Illinois to Durban, South Africa. We lived there for two years while my parents did mission work among the Zulu people. I don’t think that anyone can move to another county, go to school there, live there for two years as a teenager and it not be listed as a significant memory. It was amazing and every since we moved back home in 1991, I have been dying to go back. 2. While in South Africa my older brother died. He committed suicide. I was a young teenager and I miss him every single day since then. I tell my children about him. The funny things he used to say. They way he would relentlessly tease me and make me cry. The way he would love on us. He was 9 years older than me. 3. The third one I am not sure if it is a significant memory or rather a lack of a significant memory. I had never, ever seen my parents raise their voice to each other. I am still in total awe of how in the world that was even possible. My mom said they used to have a ‘word’ that if one of them was getting really angry they would say the word and the entire conversation would be dropped until later when they had a chance to cool off. Then they would discuss it. They still fought. They still had disagreements. They just never raised their voices and yelled at each other in front of us kids. It is amazing that they were able to do this! What is a significant memory from your childhood?